Size: 59.8 x 48.9 cms. 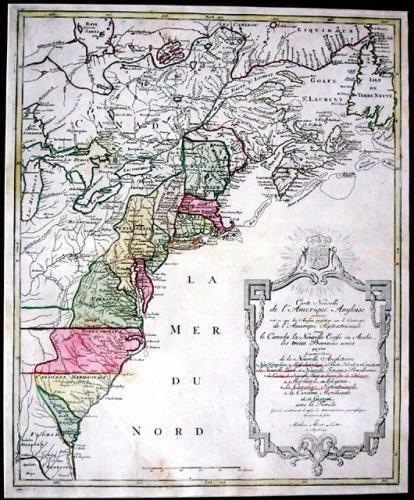 A decorative German map showing the British colonies during the period between the French & Indian War and the American Revolution. Each colony is indicated with a contrasting colour and is named in the title cartouche. Interior information, including the Indian tribal lands. Slight Centrefold damage expertly repaired. Minimal manuscript additions. Otherwise fine.